With winter well underway in the Oregon Cascades, my mountain bike life has traditionally taken a backseat, or left me searching for dirt either north or east of town where snowfall is typically less likely to accumulate. 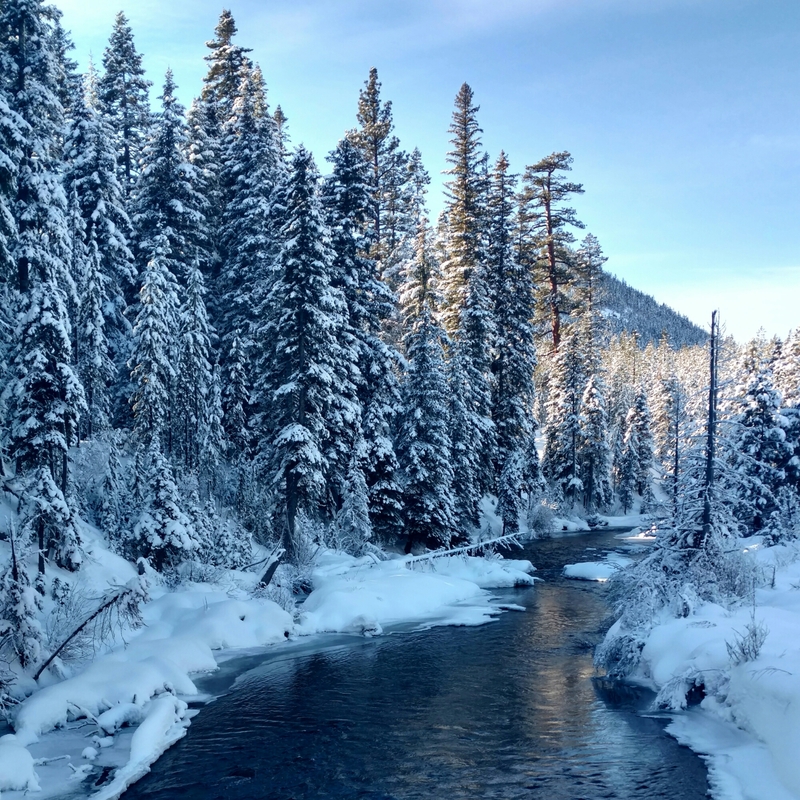 Not being an avid skier or snowboarder, winter is typically not my favorite season in Bend, and often seems to drags on for far longer than I would personally like it to. 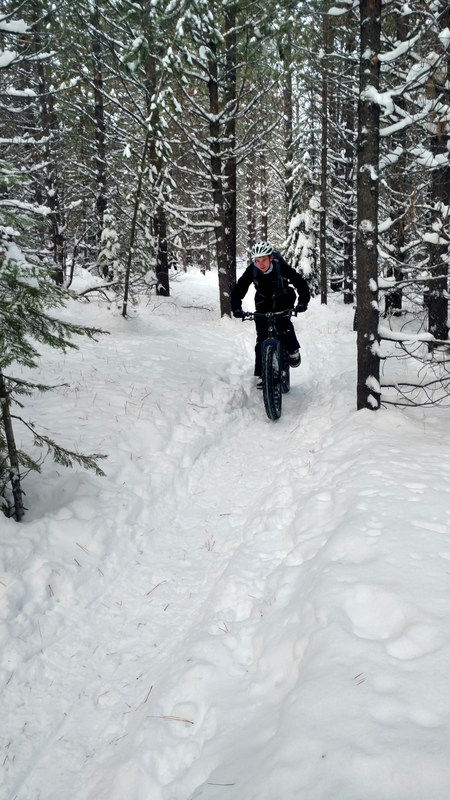 But with the advent of the fat bike, and the popularity it’s seen in the past few years, winter may just have become more manageable and even enjoyable. 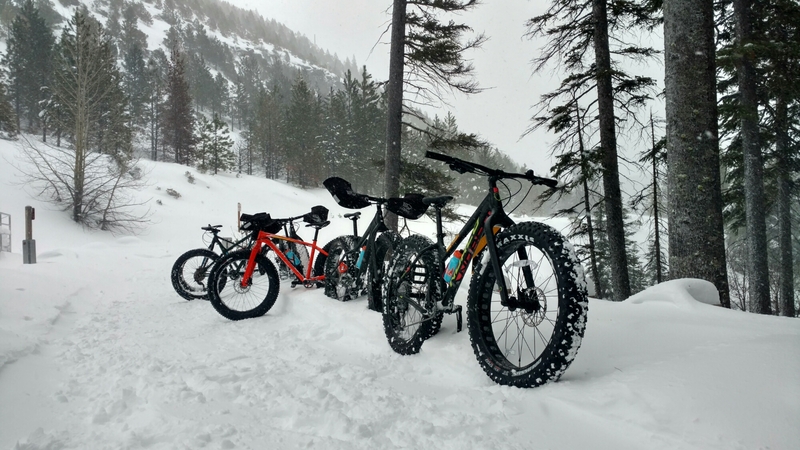 Over the holiday week of 2016, with the influx of visitors coming to town to celebrate and play, I was given the opportunity to guide 4 fat bike tours for Cog Wild. While I’ve been guiding for the past 5 seasons, until this season I have never guided, or ridden fat bikes in the snow. I’ve had a few rides on fat bike back east in the winter, but only on wet trail. Riding fat bikes in the snow, is a whole other beast. 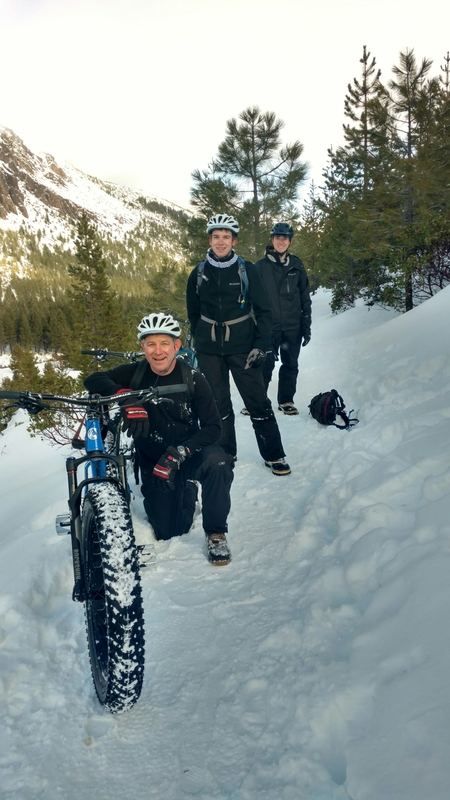 In Central Oregon where snowfall can accumulate to feet, fat biking while a fun way to access the outdoors, can prove to be a much more challenging experience than mountain biking on similar trails or terrain without the snow. Over the course of the week, I had the privilege of taking quite a few first time fat bikers out into the woods to play. On most tours we stuck to a ride from Skyliners trail head to Tumalo Falls and back. While this would be considered a short ride or even just a warm up in summer, this distance often proved to be about as much as the guests wanted, luckily the view of the falls mid ride usually made them happy they put on the work, and the ride back always seemed to be quite a bit easier. 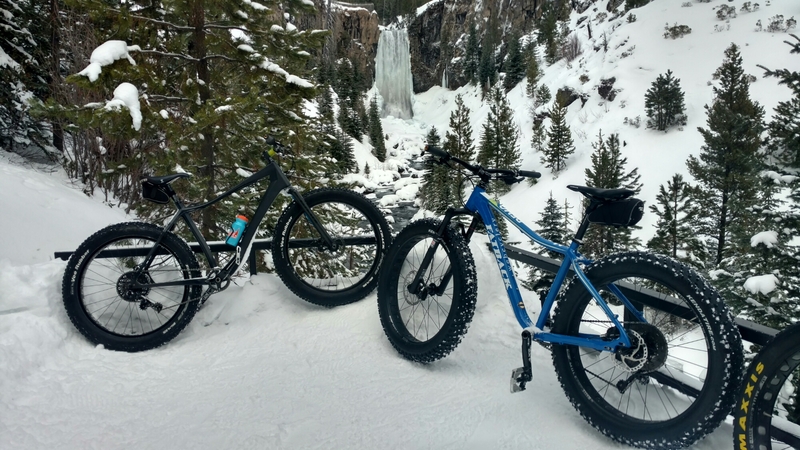 Fat biking in Central Oregon is not for the faint of heart, and beginners should come with an open mind. riding on packed out snow is preferable to riding in fresh deep snow, even with fat tires and lower tire pressure, riding in the snow can be very challenging, and patience becomes a virtue. 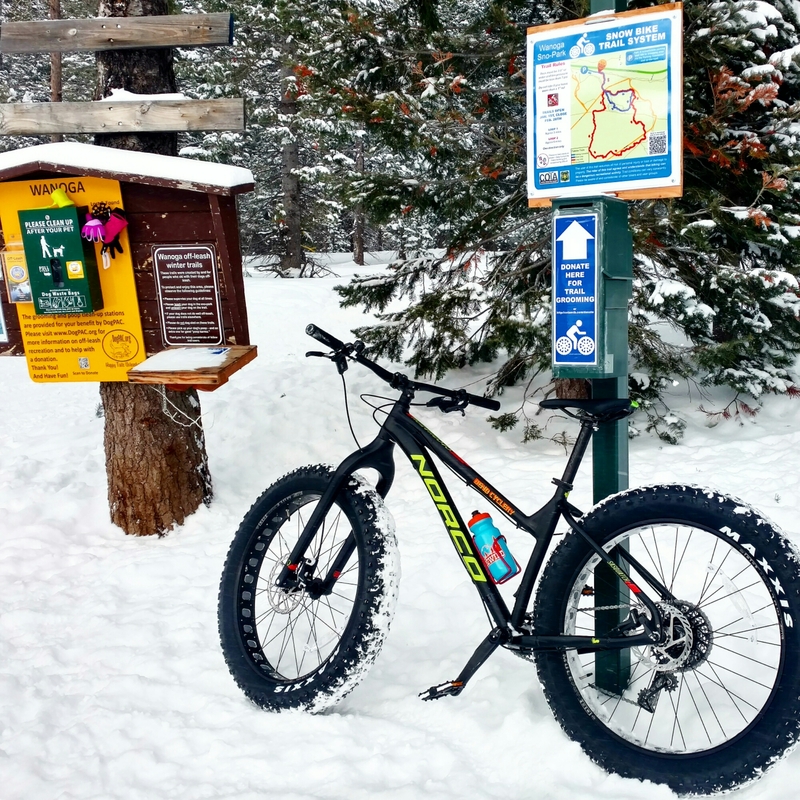 Your ability to mountain bike and fat bike are not always exactly compatible, and often guests found their bike handling skills while fat biking not as strong as they are riding single track in the dirt. But if you can get past this, and accept the change in pace, distance, and ability right out of the gate, the rides are a lot of fun and the views are so much different than those in the summer. Every ride we took was a ton of fun, but we all had to check our expectations and be present with the moment. 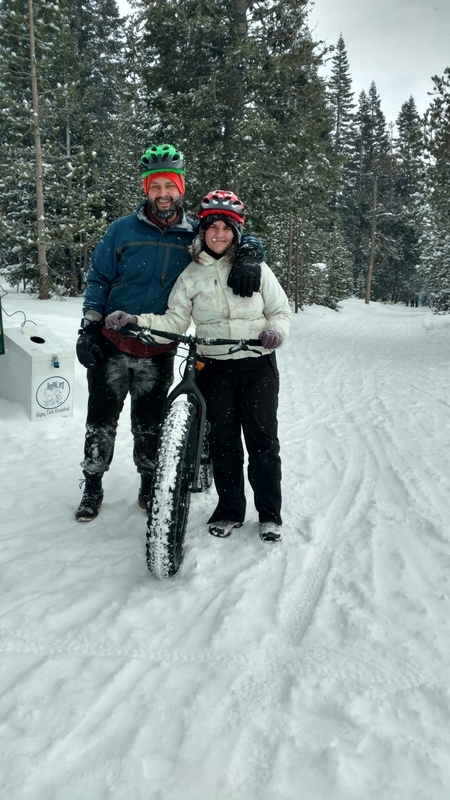 Riding fat bikes in the snow is a new experience for most of our guests, and it offers new challenges. New muscle groups get worked, and keeping the bike out of the soft snow and in the packed out track can be a challenge to bike handling. The best advice, is relax, enjoy the slower pace, take in the scenery, and just enjoy the ride and time in the woods with friends. 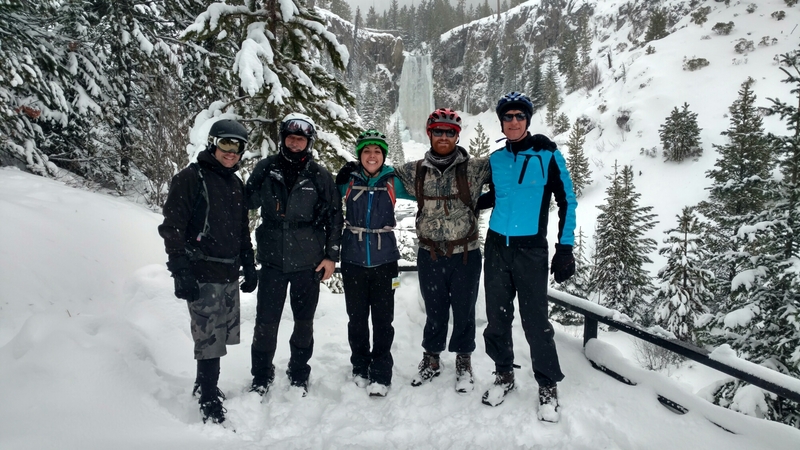 It’s an amazing way to experience the Central Oregon winter on a bike, and we are putting together great opportunities for our guests to enjoy just that.